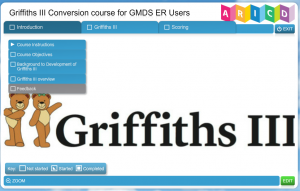 A Registered User of GMDS-ER can become a Registered Griffiths III User by taking the free e-learning Conversion Course . You will need 2 to 6 hours to complete the course and take the assessment at the end of each section. 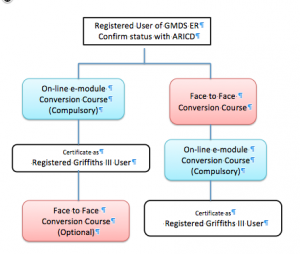 If you are unsure of your Registration status, contact courses@aricd.ac.uk informing your intention to take the course. Please attach a copy of your GMDS-ER course certificate. If you were not registered, you will need to pay a one-time registration fee on the website. Book the e-learning course on the website under COURSES. 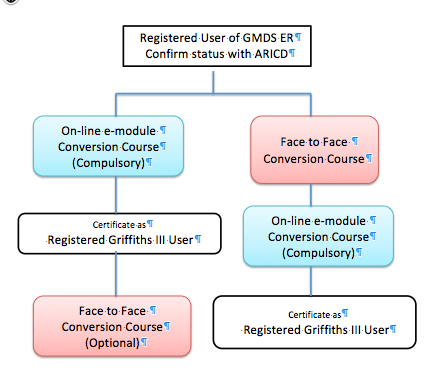 If your registration status is confirmed by the website, your booking for the course will be confirmed and you will receive an e-mail from elearning.aricd.ac.uk with the link to the course. Take the e-learning course and the Assessment. Receive your Certificate of Completion when you pass the Assessment. 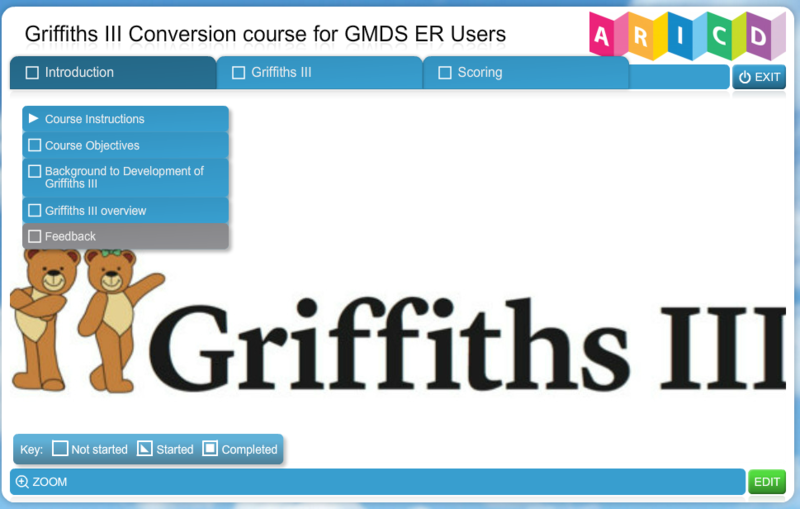 Within a few weeks, you will then receive a Griffiths III Registration Certificate with Registration number, certifying that you are able to start using Griffiths III. Face to Face Courses will also be available and are posted on the website. Face to Face Course is not mandatory, but is recommended.